Russ Fletcher and Scott Moses pulled their vehicles into the Park Place garage to find the parking spots empty. Chances are they’ll be vacant most of the time, given how they’re reserved for electric vehicles needing a quick jolt of power. But that could change over time. 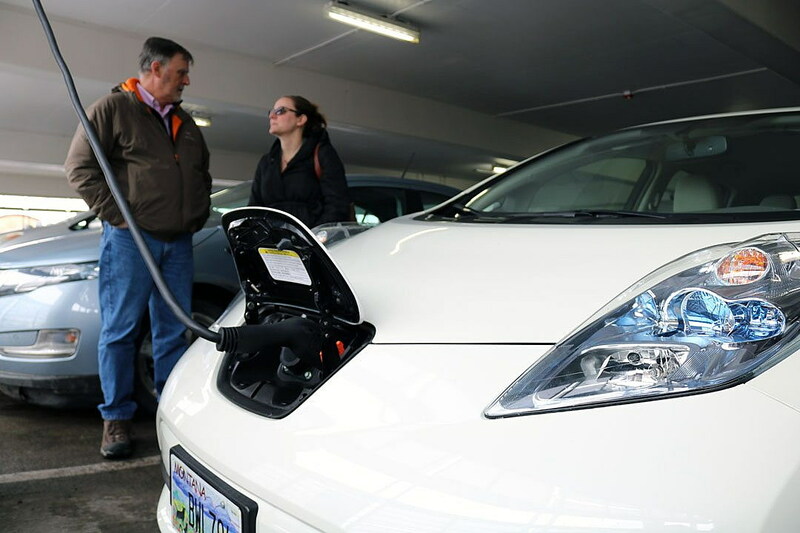 Joined by NorthWestern Energy, the city of Missoula on Friday unveiled two new electric charging stations, both of which are located on separate levels of the Park Place garage. The collaboration between NorthWestern and the city marks the first of its kind in the state, and it’s one that officials will be watching over the next few months to determine demand. If it pans out, other electric charging stations will follow. The Level 2 charging stations provide roughly 10 miles of charge per hour, though that’s enough to get Moses to and from his hillside home south of town. The architect with A&E was driving a gas-guzzling pickup truck before he made the shift. The old truck wasn’t needed for his day-to-day errands, though it was easy to fuel. 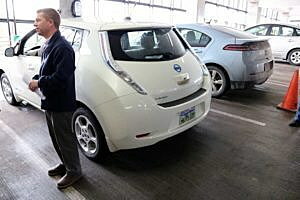 But with the charging stations now on line, powering up his Nissan LEAF is just a matter of time. Chase Jones, the energy conservation and climate action coordinator for the city, served on NorthWestern’s Community Sustainable Energy Working Group, which looked at new concepts and best practices around renewable energy. Among its efforts, the group studied linking rooftop solar with electric vehicle charging stations. The new downtown parking garage came to mind from the start, given its large rooftop solar array, which powers 80 percent of the building’s energy needs. Jones said the charging station will make it more convenient for motorists who are looking to ditch their combustion engine for a carbon-cutting vehicle. Jones believes the project will lead to reduced emissions, resulting in cleaner air, cleaner water and improved public health – a point on which NorthWestern agrees. The power company recently launched a large solar project with the city of Bozeman and will do the same with the city of Helena. It will also partner with Missoula Public School’s in a $1 million solar project, according to spokesman Butch Larcombe. The electric charging station is the only project of its kind installed by NorthWestern in Montana. “We do think renewables make financial sense to our customers and meet local needs,” said Larcombe, adding that the half of the 475 electric vehicles registered in Montana are in Missoula County.